For any professional sports club, having lots of fans is always a good thing, but having lots of fans who also engage with the club itself is even more valuable. And in today’s world, the best way to get involved with the club you love is most definitely via social media. Sports fans are dedicated, vocal and emotional and most importantly tribal – they want to share. For sports teams and leagues looking to boost business, social media is a game-changer, delivering unprecedented, real-time engagement with this legion of fans eager for interaction. Arsenal Football Club have proved remarkably successful in maintaining multiple touch-points with their domestic and international fan base and are working hard to ensure they adapt successfully to the emergence of new channels. Driving customer engagement is key to its success. Getting to grips with consumers’ emotional connection to the brand is essential to being able to use technology to market a brand. Studies show that we make over 200 decisions each day about food alone and that most of these decisions are actually made unconsciously rather than rationally. This means there’s a clear need for brands to connect emotionally with consumers in order to play a part in their purchase decision making process. The Club has dominated social media for some time, although in February Manchester United finally took the lead in a long fought battle for greatest number of Twitter followers (with only a few hundred between the leaders and over 500,000 differences before number three, Chelsea). With mobile rapidly becoming the device of choice, especially with the under 24s a strong presence on social media is vital to keep fan engagement high. Arsenal FC @Arsenal is massive online, with over 7 million followers on Twitter (during a recent match their account was sending a Tweet a minute) and they have 5.6 million followers on Instagram. They regularly publish behind the scenes images, as well as match day snaps. And provide useful and interesting video content to their followers. They have a weekly podcast, the team and the individual players are online and on Facebook the Club has 35 million likes. That’s to say nothing of the legion of bloggers who interact with the Club, fans and each other. But social media is about bringing fans closer to the club and what’s happening. While it’s also a driver for CRM to help funnel people onto its own platforms and essentially commercialise them for advertising, the goal is to keep the Club in its fans hearts. And the growing interconnectedness of globalised communications means a huge new opportunity. Worldwide Arsenal boasts 124 officially recognised supporters’ clubs in more than 62 countries, with another 20 countries currently in the process of submitting applications, and catering to the global fanbase is another important part of Arsenal’s social strategy. Arsenal, the Football club and the company, have impressively taken the world of social media, racking up one of the biggest online followings in the world of Sport. I was watching the match on Sunday and checking the number and the quality of the social interactions. Arsenal FC @Arsenal is massive online, with over 7 million followers on Twitter, during a match they sent a tweet a minute while on Instagram they have 5.6 million followers. And, unsurprisingly given the last minute victory last Sunday, Snapchat went crazy! Facebook, which has more than 35 million likes for the team page, was a fabulous place to share the glory, celebrate past victorie and of course, a weekly podcast. The first team play along as well, posting on the team account and interacting with fans. Their post are funny, meaningful and even manage to style it out when the news isn’t great. What a team. And we all love it, we do!! Those of us who follow what’s happening on social media know that Arsenal dominates in the space. There’s a reason for its huge impact – there’s the team account, individual accounts and more, with the girls team at 150K followers @arsenalladies and the @juniorgunners coming rapidly up the ranks. There is also a lot of activity on the Arsenal blog, where the Gunners share news, gossip and anything else that matters to the fans. What’s amazing is the total understanding of the social media marketing world: the team behind the scenes must be really strong, with knowley and expertise, but most of all with passion. So I’m really looking forward to hearing from Mic Conetta, Head of CRM at Arsenal Football Club, speaker at our Mixing Digital luxurious dinner at Maze. I had the privilege, as communication manager for the Ecommerce Club to meet a few members of the OPSH team, Jennie in Dublin, a guest at one of our Ecommerce Club working lunch. We discuss most of all about Instagram and fashion bloggers, and if it is relevant or not to grow your business. Last week I meet Justine in Glasgow, she was one of our speakers and she gave us a wide overview about her business and emarketplaces. They are young, full of enthusiasm and fashionable. But this does not make them less prepared or less ambitious. It was amazing to discover the reality of OPSH as a marketplace, born and bred in Dublin like the 3 protagonists of this story, something of a fairytale. OPSH is an aggregation platform for women to shop online across multiple retailers with a single universal shopping cart.The numbers are impressive, in 2015 OPSH gained 120k users. These girls are in every newspaper in Ireland, from The Sunday Independent to The Irish Times, U magazine, Image, Le Cool and The Gloss. The McGinn sisters were awarded an Excellence in Digital Marketing Award from the Irish Internet Association, their adventure started in 2009 with a popular fashion blog that developed into this new retail marketplace opsh.com. This is a great uplifting story for any entrepreneur: if you work hard, use your creativity and all the tools available, your idea will become your reality. Why should we care about twitter #debates? There has been a lot of speculation recently about Twitter, and which company might be looking to purchase it following its recent poor share performance. There is probably no more powerful source of real-time information and free speech (for better or worse) but that doesn’t mean that its easy to make money from. There’s an increasing amount of discussion about twitter #debates. Is this something that we really need? One of the key questions is whether or not this is simply another tech-app that afficiandos enjoy, or is it a potentially revolutionary tool for connecting people and building a wider dialogue on key issues? Of course the opportunity for wider conversation is of critical interest today, with intense coverage of the Presidential debates allowing citizens to have their say in an immediate way. More importantly, it’s not one room in a local area but a platform that extends far beyond geographical limitations. This real time information underpins a completely different relationship between politicians and citizens. Google has even jumped on the bandwagon, offering live updates and information cards as part of a deal with Fox News. Twitter is understood to be considering expansion of the maximum size of a tweet to as much as 10,000 characters, and the service also has its own card-style expanded tweets that can include excerpts from blog posts, as well as photos and videos. But Google’s new feature involves far more real estate than Twitter can currently offer. The search giant is also adding some other features for the debate including real-time information from Google Trends showing which candidate is being searched for the most. And Google will be embedding poll questions in its search results as well, the results of which will be covered by Fox News after the debate is over. But even though Google can offer more real estate, does it offer a better form of interaction? It seems clear that there is a shift in political engagement to a more interactive and immediate involvement. We do business on twitter, we discuss racism issues and gossip about the latest celebrity mishap. The question is whether anything can move beyond the screen. Is this real? We discuss in more detail, but miles away from each other and always at the risk of attracting trolls? Are we looking only for a validation of our personal opinion or are we actually aiming for a debate and to learn? The truth is that maybe we don’t yet know, and only by engaging more closely can we find a way through and see if it does make a difference. Next week we’re going to be exploring whether we can help our members communicate better with each other on topics that matter to them. In the #eclubdebate @EcommClub, we’re trying to prepare a topic and handle millions of gigabytes of information. Join us on Tuesday 9th at noon and let’s see if this is an evolution, a revolution or just another step in the journey towards growing our business. The merged company has over 400 full-time staff, with 13 offices worldwide, implementing DoubleClick ad-tech solutions and running digital marketing campaigns across 100 countries. Both groups have large Cape Town offices, with incuBeta companies operational in the UK, Australia, Singapore, China and Kenya. DQ&A Media Group brands are active in the Netherlands, Germany, Spain, Italy, Switzerland and the USA. The combined companies specialise in programmatic media, search and web analytics – delivering measurable results for top-tier clients. “We are delighted to see two valued partners, DQ&A Media Group and incuBeta Holdings, come together. The merger offers a global solution that continues to ensure that consumer messaging is more relevant than ever,” says Frank Einecke, Managing Director Media Buying Solutions EMEA at DoubleClick by Google. The Digital Marketing Show returns to the Excel Campus, London on the 18th and 19th November. Now in its third year, the Show continues to build on its reputation as an unmissable event for marketing professionals eager to keep their finger on the digital pulse and stay ahead of the competition. More than a buzz-phrase, digital marketing is present for all to see in today’s multi-screen, multi-platform society. For managers, a clear digital strategy is integral to evolving an online personality that draws as many businesses as possible into the conversation about your brand. But a high number of marketers are still failing to capitalise on the very effective marketing methods involved. If many firms are aware of the need to embrace digital marketing, far fewer understand the term and know how to implement a key strategy to best effect. At the Digital Marketing Show you’ll meet industry specialists who can point you in the right direction according to your requirements and experience. Across two days the show attracts a senior audience of decision makers and budget holders who know what considerations businesses need to be making when putting together a cohesive digital marketing strategy. Also in attendance will be marketing professionals who have a clear vision of what the future may hold across all digital marketing disciplines. You’ll find out the questions you need to be asking to reach the advice and resources you need for your business going forward. The Digital Marketing Show brings experts shoulder-to-shoulder with to marketers who are newer to the scene, creating a collaborative dynamic in which everyone feels able to express themselves. Visitors are guaranteed to find answers, inspiration and a whole host of fresh ideas. Below are just a few of the messages tweeted by visitors to the Digital Marketing Show. iPageDesigner: Interesting meets & seminars at the #DigitalMarketingShow London yesterday. More tactics and ideas to work. Sally Louise Day @sallybows: ACE time at the #DigitalMarketingShow today with @greenshoulders, feeling inspired & motivated to get more digital! Featuring speakers from Google UK, ITV, Yahoo, Forbes Media, Ministry of Sound, and Dominos, the Digital Marketing Show is THE place to get up to speed with the digital marketing tools and trends that will ensure your business is digitally competitive in 2016 and beyond. On the 1st of October 2015, award-winning digital agency Net Media Planet announced the change of their company name to NMP and unveiled a new contemporary look and feel to its brand. This rejuvenated brand and visual identity will better align with the company’s values, and represent the high quality, innovative work produced by their team. Along with their rejuvenated brand, a feature of the relaunch is a new company website, nmplondon.com. NMP are an award-winning digital marketing agency with over 10 years of experience in delivering global campaigns with granular localised targeting. Their heritage is rooted in paid search performance marketing allowing NMP to apply their knowledge and experience to the campaigns they run across all their marketing solutions including paid search, display, paid social and the DoubleClick Channel Partners programme. Having worked across a wide range of industries including fashion, retail, financial and gaming, NMP offers rich data and insights for their clients. Their impressive list of clients includes Microsoft, Superdrug, Chain Reaction Cycles and Monsoon Accessorize. Their holistic approach to digital advertising combines innovative technology and a talented team of data driven analysts, helping ambitious brands grow by unlocking opportunities and aligning channels to realise their true value. The key to a successful holiday season is a well thought out plan, but even the best laid plans can fall short in our world of surmounting competition, endless choices, multiple avenues for purchase and inundated consumers. 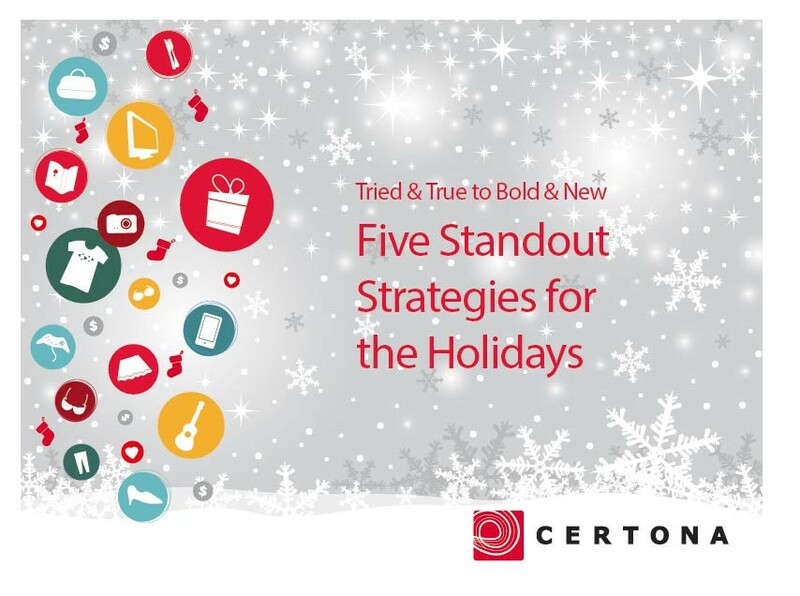 Differentiate your business this holiday season by marrying proven personalization strategies with innovative new technologies and stand apart from the rest when competition is at its fiercest. 1. You’ll never have this much time. Use it wisely! While a typical full-time work week is 40 hours (unless you’re Tim Ferriss), the truth is many of us are working multiple jobs, or taking work home with us (it’s currently 10:25 PM, for the record). 8 hours of sleep is a luxury. I long for the days of spare periods, a 3:30 PM quittin’ time, and free summers. You have more time in your preteens than you think. LeiLei started designing jewelry at the age of 13. Three years latr, her hobby became the foundation for her business. For LeiLei, investing time in her business was rewarding because it was based in a passion. Snagging my first job out of college was entirely attributed to my extra-curricular work through the student union. While it wasn’t my own business, it provided an opportunity to learn about business and government – skills not taught in art school. Don’t get me wrong: formal education has immense value, but it won’t make you an adult. 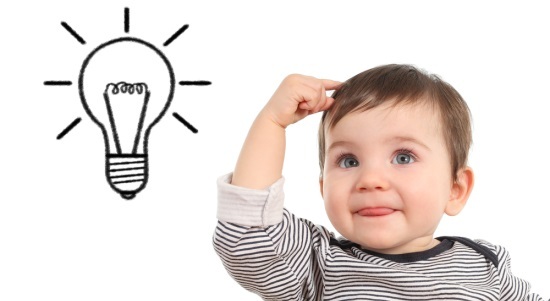 “I think having your kids work on a business is a great opportunity for creating discussions about business (profit/loss, risk/reward, etc. ),” says Doug Tetzner, whose kidpreneur sons run a business on Shopify. Tucker Schreiber is a Doogie Howser for the millennial set. His name may be a familiar to some readers, as he’s a regular content contributor on this blog. While he’s no longer a kid, it’s the experience he gleaned from his entrepreneurial childhood that landed him a seat two desks over from mine. He had several businesses under his belt before he could grow a sparse teenage moustache. In his posts, he’s speaking in first-person, doling out advice based on his own experience. You can’t buy street smarts. His advice for other young people? “Figure out what you like doing then find out how you can make money doing it, then just let your passion drive your business”. Our kidpreneur consultants had the right mix of gumption, passion, and support to build successful businesses while prepping for exams and senior prom. Time travel aside, it may be too late for me. But there’s still time, young buck – get inspired by your peers and put your kid power to work!! Tryzens, the retail systems integrator and managed service provider, prides itself on its knowledge of the eCommerce industry and are always on the lookout to deepen this expertise. That’s why they’re thrilled to begin to share their findings from a recent study into the consumer marketplace and consumer preferences. The first part of the research –UK Online Shopping Consumer Preferences– is now published and available online. The project itself is one of the first major undertakings of its time, exploring the choices, preferences and behaviours of 1,000 UK consumers based on gender, income and region. The report has thrown up some interesting findings about modern consumers. For instance, the average UK online consumer spends around £559 per month online – adding up to around £6,000 per year. However, men are actually spending more than women online on average, at £686 per month versus £475. The research also found some surprising facts about how little the amount that we earn affects what we buy online. When looking at the level of spend online by income, Tryzens found that lower earners (those on £10-15,000) are spending up to 40 per cent of gross income online, which reduces to around 14 per cent in the £60-100,000 income group.